The Trading Standards Institute (TSI) has called on the general public to be more wary of rogue traders selling bogus devices that are claimed to save energy. Most households in the UK would love to save energy. A mild November is likely to have eased the pressure on consumer bills this winter, but the cold weather is surely not far away. Cold weather means turning up the central heating, which in turn means more money will be spent on gas central heating. Coupled with sunless days and starless nights, households could also spend a small fortune on electricity. Electricity-saving plugs and devices promise to reduce energy consumption to a mere trickle – enough to keep the kettle boiling over but no more than is absolutely necessary. Could these electronic wizards fool energy companies and release households from fuel poverty? In a word, no. The TSI has warned members of the public that bogus electricity-saving plugs are not only completely useless at saving energy, but they might also be dangerous, posing a serious fire risk. Costing £99, one such device, which is claimed to save up to 40 per cent on energy bills, is proving a source of frustration for TSI staff. Ron Gainsford, the Chief Executive of TSI, commented: “Consumers are warned not to use the product as they pose a risk of fire and electrocution and a safety recall has been issued for the items traced so far”. Mr Gainsford added: “Unscrupulous criminals are using the rising energy prices as an opportunity to lure cash-strapped consumers. Elderly people seem to have been deliberately targeted. The number of complaints we are currently dealing with is bound to be only the tip of the iceberg”. Not a single Christmas goes by without the elderly being targeted in some dodgy scam or another. If it is not milk-based driveway ‘sealant’, it is a poorly crafted conservatory, Ponzi scheme or the secret to eternal youth. This year, the golden ticket appears to be in the form of energy-saving devices, which are more or less useless even when they are not wired up dangerously. 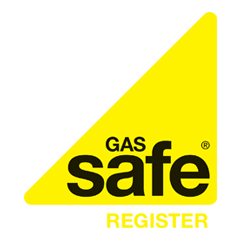 Making sure your hot water tank and pipes are properly insulated can help to reduce energy bills, as can installing a new energy efficient condensing boiler, ensuring your loft space is sufficiently insulated or getting double glazing fitted.